Tiago Sonobe worked at Bandai Namco between April 2014 and August 2016 as a software engineer and graphics programmer. That same month, he moved over to Nintendo – also as a software engineer. 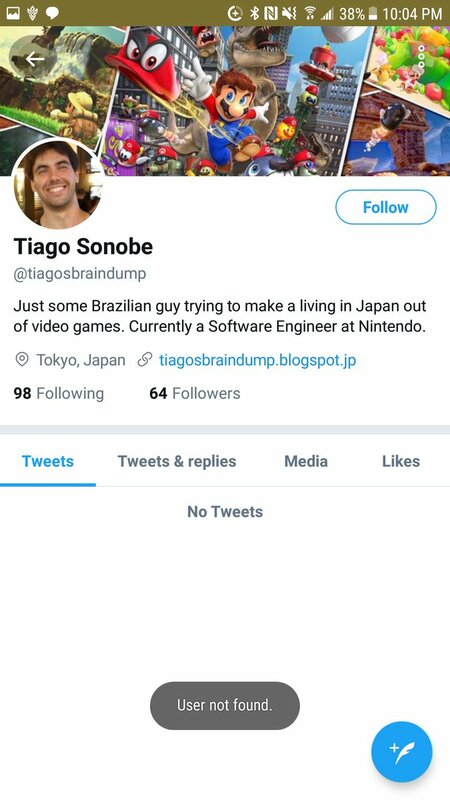 Sonobe’s work history is notable due to an apparent tweet which has now been deleted (and his account as well). 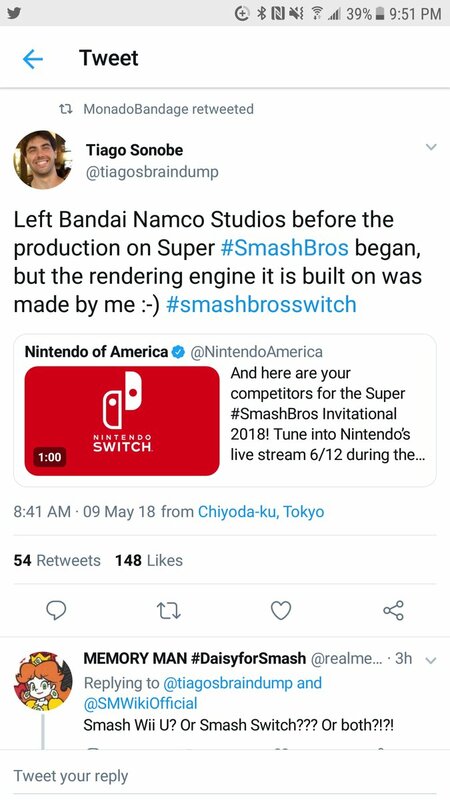 In his message, Sonobe mentions that he left Bandai Namco before the production on Smash Bros. Switch started. However, he further says he created the rendering engine it’s built on. 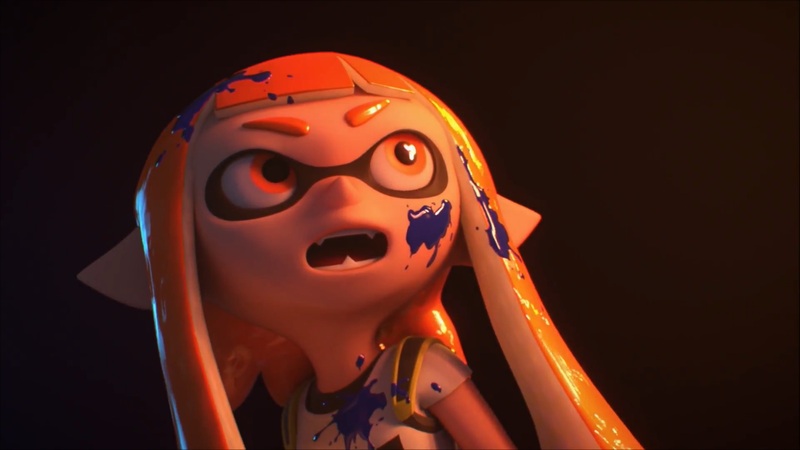 Bandai Namco working on Smash Bros. Switch wouldn’t exactly be surprising given the company’s work on the last entry on Wii U and 3DS. Some folks are also trying to interpret what the engine bit means in terms of how much of a new game will be. Thankfully, we won’t have to wait too much longer for answers. Nintendo will be blowing out Smash Bros. for Switch at E3 in June.